I met someone refreshingly unusual the other day, an automotive industry professional now on his fifth Fiat model. Considering the Italian brand has only been back in Canada for six years, that's a lot of buying and selling. I can understand, as the wonderful little 500 hatchback and cabriolet are plenty tempting, especially the sporty Abarth which was previously in his garage. I even enjoyed the 500L during my weeklong test for its impressive interior and overall practicality, while it's difficult for someone my age not to fall in love the classic lines of the new 124 Spider, his wife's car. Yes, they're a dual-Fiat family, and if you hadn't already guessed his familial heritage is Italian. 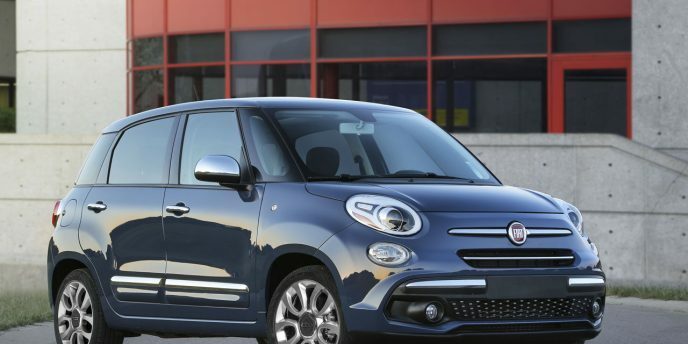 Fiat recently announced some updates to two of its most practical models, the most extensive being an exterior and interior mid-cycle refresh for the 500L subcompact hatchback, and the other a rather late in the year yet particularly attractive new Urbana Edition styling package for the brand’s most popular 500X subcompact SUV. The 500L already has one of the more appealing interiors in the subcompact sector, but unfortunately the outgoing model’s unorthodox exterior design never found much favour with Canadian consumers. Therefore Fiat has given it a refresh including new front and rear fascias. Most noticeable is the simplified upper grille and reworked lower bumper cap, the latter featuring additional black trim with more chrome and a sportier air intake just below. Reshaped door panel sculpting with new body side mouldings continues the revisionist theme rearward, ending in a modernized rear bumper cap with chrome edged horizontal reflectors at each corner. Inside, a renewed primary gauge cluster is framed by a sportier steering wheel that incorporates a smaller and therefore more visually appealing airbag enclosure, while the centre stack benefits from FCA’s updated Uconnect 4 infotainment system boasting standard Apple CarPlay and Android Auto, plus just below a new climate control interface improves aesthetics and functionality. Lastly, Fiat has played musical chairs with its shift lever and cupholders for better ergonomics. No doubt the Italian brand hopes these changes will increase 500L sales, which ended Q3 2017 amongst the slowest for any vehicle in Canada at just 40 units. In comparison, the 500X’ 846 deliveries over the same nine months make it a runaway success, despite dropping behind the Mini Countryman for lowest Canadian subcompact SUV volume. Available in four exterior colours including Grigio Graphite (graphite grey), Blue Sky Metallic, Bianco Gelato (white clear coat), and Nero Cinema (black clear coat), the sporty Miron gloss black paint adds contrast to the front and rear fascias, 18-inch alloys, mirror caps, door handles, side sill mouldings, liftgate bezel, and taillight surrounds, while the backend 500X badge and wheel centre caps are finished in the copper colour. Lastly, Fiat blackens the headlamp surrounds before topping off the little SUV with matte black side roof rails. The classy theme continues inside, with the radio and vent bezels finished in the glossy Miron black, plus a black textured instrument panel highlighted by a copper 500 logo ahead of the front passenger, as well as copper thread used for a set of embroidered 500 logos on the otherwise black Castiglio chevron-patterned fabric seats. The Urbana Edition adds $795 to 500X Trekking trims in both FWD and AWD, resulting in $29,540 for the former and $33,235 for the latter, plus freight and fees. Incidentally, the base 500X is competitively priced from $23,245 in base Pop trim, while addition 500X trims include Sport and Lounge. Fiat has yet to update its retail website with information about the new Urbana Edition package or include it within their “Build & Price” configuration tool, so contact your dealer to see if they have any available. As for the 2018 500L, Fiat is still showing 2016 and 2017 models on their site, but they will likely offer 2018 information soon. Full disclosure: I’ve been a fan of Fiat’s 500X since it debuted two years ago as a 2016 model, and certainly didn’t hold back sharing such positive sentiments in my review of a Trekking Plus AWD model, that trim actually discontinued for 2017. We now have a 500X Sport in our garage, and while not as fully featured as the Trekking it’s nevertheless amply appealing. Unfortunately, the 500X hasn’t done as well on North American sales charts as I first expected or Fiat initially hoped. As with any new model, the buying public has to like its familial design language in order to enjoy success, and to that end the Fiat brand suffers a similar fate to Mini. I’m not saying that the 500X or its siblings are unattractive in any way (ok, the 500L is a bit odd), but like the iconic British carmaker, the equally storied Italian brand has chosen to cling to its past for all North American offerings instead of offering the many more modern designs within other market segments sold globally, and retrospective styling isn’t for everyone. 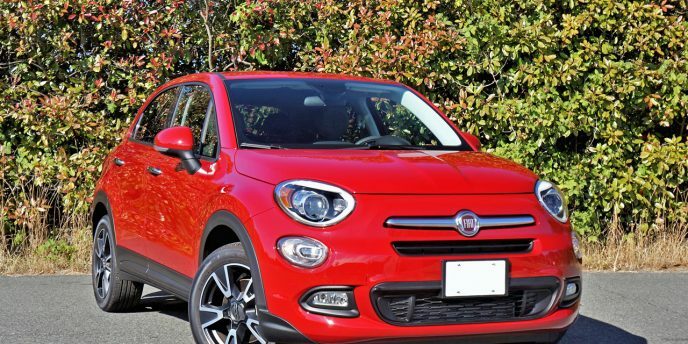 I can’t say for sure that styling is central to Canadian’s lack of interest in the 500X or Fiat in general, nor the U.S. market that mostly shuns the Italian carmaker, but the impressive little SUV remains almost as exclusive as a near-exotic Maserati despite doubling its numbers over the first half of 2017. Last year Fiat found a mere 766 500X buyers, whereas by the close of Q2 2017 it had already purveyed 786. That’s impressive growth, but still not enough to get it out of the subcompact SUV basement. The only competitor selling less is Mini’s Countryman that arguably targets the premium sector due to much higher pricing, the next slowest selling model being the platform-sharing Jeep Renegade with 3,962 sales last year, albeit a much stronger showing over the first six months of 2017 thanks to 2,968 sales. By comparison, Honda’s HR-V found 12,371 buyers last year and a shocking 8,219 over the first half of 2017, with others in the class being Subaru’s Crosstrek with 9,723 and 3,945 deliveries respectively, Mazda’s CX-3 with 9,354 and 4,873, Chevy’s Trax with 9,072 and 3,202, Mitsubishi’s RVR with 6,196 and 3,443, and so on. I’ll tell you why I think these numbers aren’t fair in my upcoming review. For now, suffice to say there’s a lot more to the little Fiat 4×4 that a simple pricing, specs and features overview can attest to. As for pricing, the base front-wheel drive 2017 500X Pop starts at $23,245 before freight and fees, although Fiat is currently offering a $3,000 no-haggle discount, getting the base price down to $20,245. This makes it one of the most affordable in its class, and therefore an even more viable alternative to the aforementioned big sellers than usual. 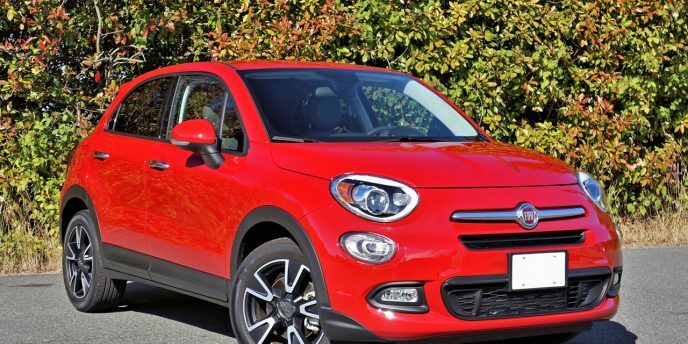 With the Trekking Plus now gone, Fiat provides four 500X trim levels for 2017. Already noted base Pop trim is immediately followed by the $27,745 Sport (now available for $24,745), plus the non-Plus $28,745 Trekking (now $25,745), and lastly the top-line $31,740 Lounge (now $28,740). I won’t detail out all the features of the two upper trims in this overview, but in short the Trekking gets a sporty off-road theme and the Lounge is downright luxurious, and these models are positioned above a subcompact SUV that starts out fairly well equipped in base trim. Standard Pop goodies include bifunctional halogen projector headlamps, body-colour powered heatable side mirrors with integrated turn signals, chrome door handles, a body-colour rear rooftop spoiler, a chromed exhaust tip, a capless fuel filler, an engine block heater, remote keyless entry, an electromechanical parking brake, a body-colour instrument panel, a tilt and telescopic multifunction steering wheel, a 3.5-inch multi-information display, micron-filtered air conditioning, a Uconnect 5.0 multimedia centre with 5.0-inch colour touchscreen, four-speaker AM/FM audio with a USB port and aux input, premium soft-touch interior surfacing, cloth upholstery, powered windows, 60/40 split-folding rear seatbacks and a fold-forward front-passenger seat, tire pressure monitoring with a display, hill start assist, seven airbags, an antitheft engine immobilizer, a security alarm, and more. Safety in mind, top-tier trims earn IIHS Top Safety Pick status when optional front crash protection is added, but this level of active safety isn’t available with our Sport trimmed tester. Instead, Sport trim moves its standard feature set up a significant notch from the base 500X thanks to 17-inch alloys on 215/55 all-seasons in place of 16-inch steel rims on 215/60s, a sportier 3.73 final drive ratio instead of 4.43, Fiat’s Dynamic Selector with three driving modes, auto on/off headlamps, fog lamps with cornering capability, deep tint privacy glass, remote start (with the automatic), proximity-sensing keyless entry with pushbutton ignition, a “Premium wrapped” leatherette steering wheel rim, a leather-wrapped shift knob, six-speaker audio, satellite radio with a one-year subscription, Bluetooth phone connectivity with streaming audio, a front centre sliding armrest, another USB port, illuminated vanity mirrors, a reversible height-adjustable cargo floor, etcetera. The only trim standard with a backup camera is top-line Lounge, but don’t worry because Sport buyers can add Fiat’s ParkView monitor separately for $475 or upgrade to the $1,250 Driver Assist Group that includes the camera as well as Park-Sense rear sensors, blindspot monitoring with rear cross-path detection, and a colourized version of the base model’s 3.5-inch multi-information display. Additional Sport options include a $695 Cold Weather Group with a windshield wiper de-icer, a heatable steering wheel, and heated front seats; a $1,295 Convenience Group with everything from the Cold Weather Group as well as dual-zone auto climate control, an eight-way power-adjustable driver’s seat with four-way powered lumbar support, ambient lighting, and a cargo cover; and a $1,100 Navigation Group that includes navigation with detailed mapping within a larger 6.5-inch touchscreen, plus a compass. Standalone Sport options include a fabulous $1,295 dual-pane panoramic moonroof, a $995 BeatsAudio sound system, a sportier set of $300 machine-finished 17-inch alloys with black painted pockets, and a $295 compact spare tire. My tester includes nearly everything on the options list, making it especially good for my detailed hands-on review. Something else I like, Fiat offers the same number of paint choices no matter the trim level, and it’s a massive 11-colour palette allowing buyers a lot more personalization than most competitors. Along with four base colours, which even include trendy Arancio orange and classic Italian Rosso Passione, a colour Fiat clarifies as “Hypnotique Red” as if that should help us picture it, are five $195 metallic hues including stunning new Rame Chiaro, a light copper, and two $995 tri-coat colours, the latter including bright Giallo Tristrato yellow, and Rosso Amore red. 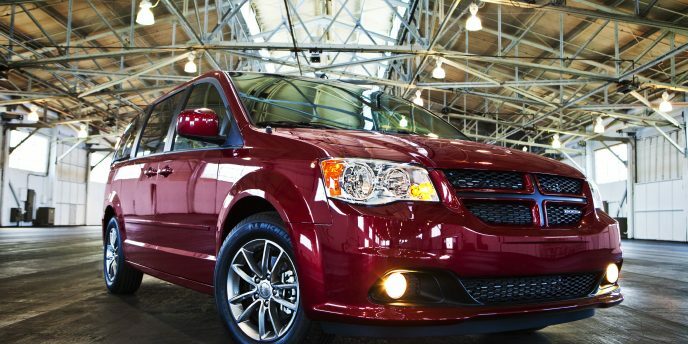 The base 500X Pop can only be had with front-wheel drive, but all models above can be outfitted with Fiat’s all-wheel drivetrain, which comes standard with the Lounge. This is nothing unusual, but offering two engines isn’t the class norm. Even base models have a choice of powertrains being that the puny but potent 1.4-litre MultiAir four-cylinder is the designated engine for the six-speed manual, front-wheel drive variant and the larger 2.4-litre Tigershark MultiAir four is dedicated to the ZF-designed nine-speed automatic that comes standard with all-wheel drive. The smaller turbocharged unit puts out a commendable 160 horsepower and 184 lb-ft of torque, whereas the bigger naturally aspirated engine makes 180 horsepower and 175 lb-ft of torque. Our Sport had the former drivetrain setup that’s good for a claimed 9.5 L/100km in the city and 7.1 on the highway, although thanks to the optional engine’s nine-speed automatic it’s not much thirstier with an estimated rating of 10.7 city and 7.7 highway. My singing teacher had one of these back in 1980. She was a cool old lady living in one of the nicer areas in the city, and driving what most of us at the time considered the poor man's, or in this case woman's, Mercedes SL. She was hardly poor, but merely understood that you can have just as much fun in a less expensive sports car while enjoying a more carefree type of prestige. I won't go into all the challenges she had with her then new albeit horribly unreliable 124 Spider, because today's Fiat is a completely different company and its cars wholly better made. 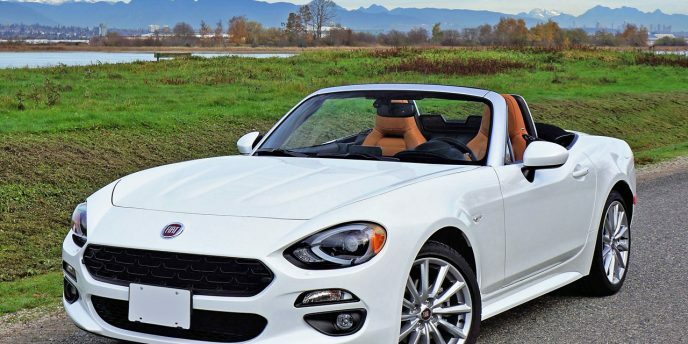 In fact, the new 2017 Fiat 124 Spider shown here is a thoroughly reliable Mazda MX-5 in disguise, or at least the mostly Euro-sourced components that gave such Fiat owners headaches decades are now Japanese made.